Copyright 2003-2006 Wilder Street Rods Inc. Sport Truck Magazine features the 1939 Studebaker Coupe Express. available with any other fiberglass "kit cars". today and be sure to se the latest project build at the Atlanta World of Wheels. 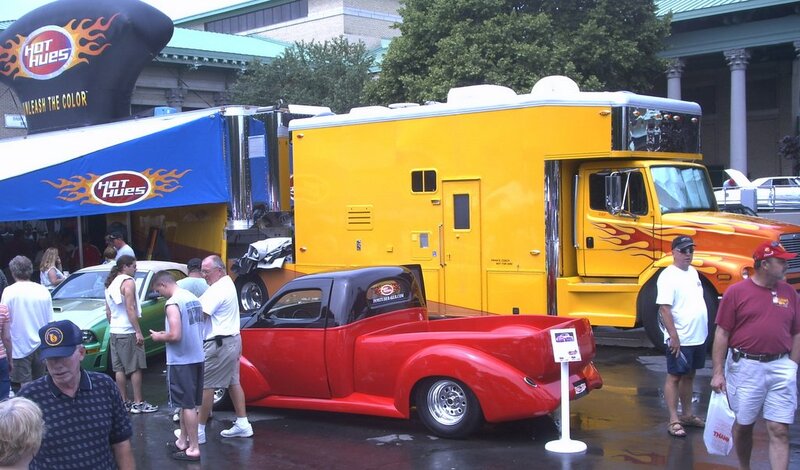 7/14/2006 - Wilder rolls out the fresh reworking of the "prime build" Studebaker at the DuPont title sponsored Syracuse Nationals in Upstate New York. Branded as a Hot Hues Street Rod, the 39 was a big hit and a huge crowd draw at the Hot Hues booth. The Prime Build will also appear at the Sport Compact and Truck Blast at the New York State fairgrounds in Syracuse on July 29. Both shows are produced by the Right Coast Association.